Few construction projects get feted with a giant picnic, but BSI Constructors transformation of the St. Louis riverfront by the Arch is one of them. 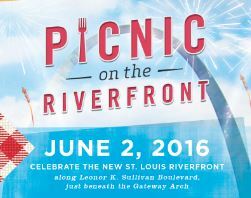 Great Rivers Greenway, the City of St. Louis, CityArchRiver Foundation and other partners are going to celebrate the completion of the project on Thursday, June 2, St. Louis’ largest ever community picnic, complete with a 2,016-foot long table with chairs. The picnic is open to the public. The official ribbon cutting on June 2 will begin at 5 p.m. on the overlook stage along Leonor K. Sullivan Boulevard. Afterward, attendees can explore the nearby Mississippi Greenway, enjoy local music and educational activities for kids and purchase dinner from food trucks and other vendors. People are also welcome to bring their own picnic meal. An interfaith blessing will kick off dinner at 6:15 p.m., followed by an aerial photo of all the picnickers. The event will end with a brief fireworks display at 8:30 p.m. The renovation of the 1.5-mile stretch of riverfront includes the recently rebuilt Leonor K. Sullivan Boulevard and extension of the Mississippi Greenway from the Biddle Street Trailhead south to Chouteau Avenue, with protected walking and biking paths. The entire riverfront was elevated an average of almost two feet to limit flooding, returning more days of the year back to the community for walking, riding bikes, sightseeing and special events. While the historic elements were preserved, such as the cobblestones lining the levee; new amenities such as benches, bike racks, lights, power outlets and a street-level stage will make the space more inviting for events and programs. 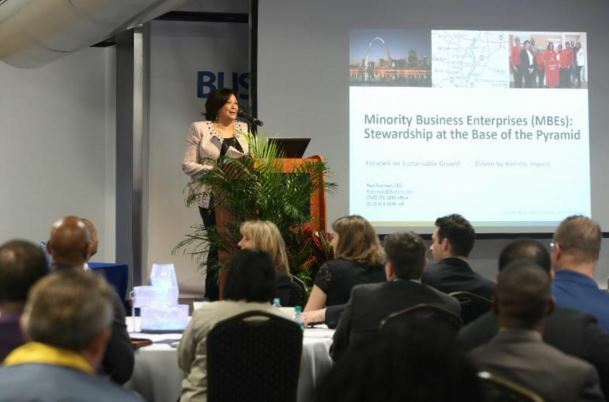 The construction, which is wrapping up, is on track to meet or exceed minority participation goals with 32 percent participation by minority-owned business enterprises and 19 percent participation by women-owned business enterprises. Fifty-one percent of construction contracts were awarded to disadvantaged business enterprises. Workforce participation is also on track to meet the goal of 14.7 percent minority workers. “The riverfront is a place where everyone is welcome, and it was important that the construction of the project reflect that, too,” said Carey Bundy, Project Manager for Great Rivers Greenway. The Design-Build Institute of America (DBIA), the only organization that defines, teaches and promotes best practices in design-build, celebrated the passage of H 2376 through the Missouri General Assembly. The bill enables any local political subdivision to use design-build project delivery at their discretion. The bill also ensures that community development block grants are properly allocated to water and wastewater projects that are delivered using design-build. This legislation had a long road to victory spanning a decade, and is significant in light of the strong demand for design-build authority from public owners. The DBIA played a key role in crafting the legislation, providing supporting testimony, and working with Representative Lincoln Hough and Senator Jay Wasson to get this legislation passed. Governor Jay Nixon has indicated he will sign the legislation. 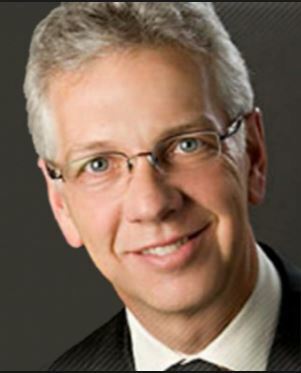 “This legislation affirms Missouri’s commitment to finding better ways to deliver construction projects for the taxpayers, and is encouraging for the future of design-build in the Midwest,” said G. William Quatman, who currently serves as chairman of the National DBIA Board of Directors. 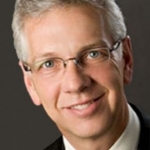 Quatman is a Missouri resident who serves as general counsel for Burns & McDonnell Engineering Co. He has helped to write the legislation in various forms, and testify for it, since 2007. The roofing industry is in immediate need of hardworking, highly skilled talent to fill positions in all sectors of the industry. To help meet this need, the National Roofing Contractors Association (NRCA) has launched its online NRCA Career Center. 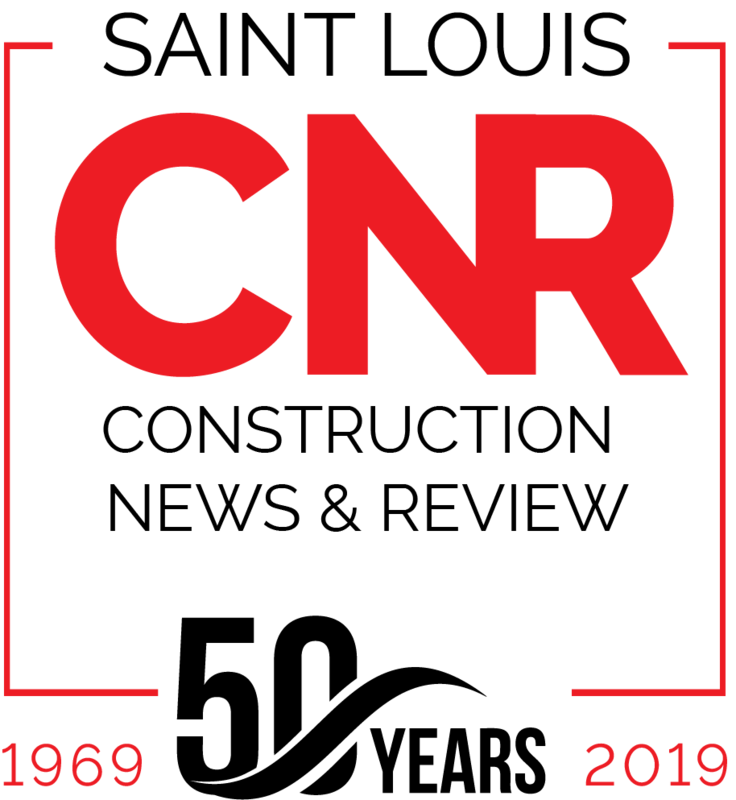 The NRCA Career Center is a comprehensive roofing industry-specific resource that will enable all industry sectors, including roofing contractors, distributors, manufacturers, consultants and designers, to find the ideal candidates to fill open positions at all skill levels. Similar to the entire construction industry, the roofing industry has been experiencing a severe labor shortage. The NRCA Career Center was developed in part to address this issue, as well as spread the word to job seekers about the many rewarding opportunities available in the roofing industry. The NRCA Career Center consists of two job banks that provide a dual strategy for finding talent. The NRCA Job Bank allows potential candidates to view available industry jobs as well as upload resumes for review by prospective employers. NRCA also has partnered with Hard Hat Hub, a premier career resource for the construction industry. Job candidates can create a personal profile for employers to view. 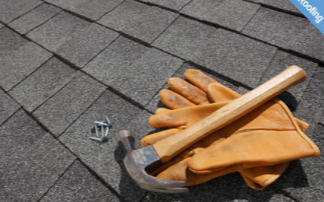 Roofing industry wage information as well as training resources also are provided. For more information about the NRCA Career Center visitwww.nrca.net/careers. The American Subcontractors Association (ASA) Midwest Council announced the winners of its Boots & Bling Awards Gala, April 23. 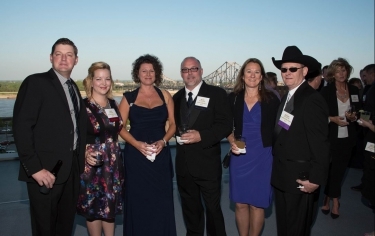 ASA Midwest Council hosted 360 people, at the Four Seasons Hotel in Downtown St. Louis, for the annual event. The four categories for awards were General Contractor of the Year, Outstanding MEP Subcontractor, Outstanding Specialty Subcontractor, and Service Provider/Supplier of the Year. The ASA Legacy Award and GC Field & Office Employees of the Year were also recognized at the gala. The ASA Midwest Councilawarded special safety awards to qualifying ASA members who have achieved work safety excellence in 2015. Category A – TJ Wies Contracting, Inc.
Division II – Vee-Jay Cement Co., Inc. Roughly 400 people attended the Forum on Concourse B. The 2016 Business Diversity Forum presented by Lambert-St. Louis International Airport Business Diversity Development soared to new heights with 400 attendees on April 1. New enhancements included a dynamic keynote speaker, 22 roundtable discussions, and the presentation of individual Diversity Champion awards. 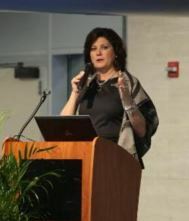 The event showcased business development at Lambert Airport and provided opportunities for minority, disadvantaged, and women-owned businesses to connect with prime contractors and airport decision makers. Amber Gooding, Assistant Director Community Programs and Business Diversity Development welcomes 400 attendees. 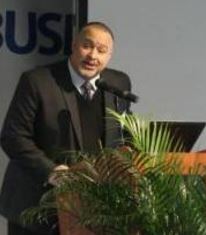 “Diverse Opportunities to Create New Successes” was the Forum theme. “All of you here today inspire us to work very hard to create new partnerships in the business community,” said Amber Gooding, Assistant Director of Business Diversity Development and Community Programs, in opening remarks to launch the Forum. Keynote speaker Ravi Norman, CEO of THOR Construction, Inc.
Keynote speaker Ravi Norman, CEO of THOR Construction, Inc., one of the largest minority-owned companies in the United States, lived up to his reputation as a dynamic motivational speaker with a rousing talk on his SIT-EAT-GROW model for business success. He said that individuals must begin with personal foundational pillars grounded in faith. The crux of his SIT-EAT-GROW model is that you must have access to opportunity; you must be seated at the table in order to eat, which can, in turn, lead to growth. Missouri’s highway and building contractors report higher expectations for the construction industry’s economic outlook in a recent AGC of Missouri Contractor Confidence Index (CCI), looking six, 12 and 18-24 months ahead. The AGC of Missouri’s CCI Index was conducted online and at meetings in early April with member contractors, and compares to data collected three months ago. 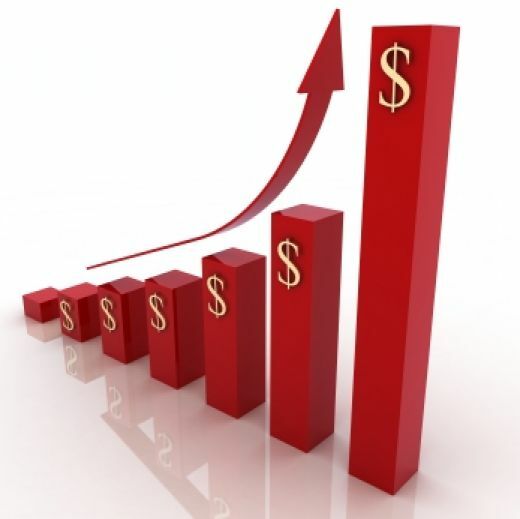 Contractors in the AGC of Missouri’s Heavy/Highway/Infrastructure Division report a marked increase in their prospects over the next 24 months, rising 21 points in short-term confidence (six months), 16 points in the near term (12 months), and jumping nearly 27 points for 18-24 months, based on a 100-point index. Results over 50 points are considered trending positive, with the results coming in at 63.54 pts. (six months), 68.75 pts (12 months), and 59.52 pts. (18-24 months). At the same time, commercial contractors in the AGC of Missouri’s Building Division report improved expectations going forward. Their outlook rose nearly 4.5 points for the short term (six months), increased nearly 4.0 points near-term (12 months), and rose one-half point for the longer term (18-24 months). The favorable results were: 67.86 pts (six months), 65.48 pts. (12 months), and 59.52 pts. (18-24 months). This survey was developed by the AGC of Missouri and was distributed online as well as in-person at recent meetings to member contractors. The CCI index is released quarterly* and is designed to be an additional tool to help business, government and institutional leaders plan for the future. *Due to scheduling difficulties, no 3rd Q 2015 survey was conducted. Chris Roach, Director of Roeslein Alternative Energy, accepting the 2016 Groundbreaker of the Year Award during the general session of the International Biomass Conference and Expo in Charlotte, NC on April 12, 2016. 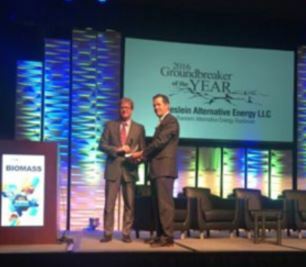 Roeslein Alternative Energy was named the 2016 Groundbreaker of the Year by BBI International, at the annual International Biomass Conference and Expo in Charlotte, North Carolina on April 12, 2016. Roeslein Alternative Energy (RAE) has recently launched a significant project, which warrants the nomination for this award. RAE has partnered with Smithfield Hog Production (SHP) of Missouri. RAE is utilizing SHP’s hog manure lagoons by placing impermeable covers over them in order to anaerobically digest the manure to create methane gas. The captured methane will then be refined and used as a renewable natural gas. Once refined the gas will then be injected into main grid pipelines, and accessible to millions. Along with manure conversion, RAE looks to utilize marginal and highly erodible land and restore them back to the native prairies that they once were. It is the goal of RAE to restore ultimately 200,000 acres of land to native prairies which will boast natural rehabilitation of habitats for plants and wildlife. The Groundbreaker of the Award is given to one company who is nominated and voted on by BBI International, a globally recognized bioenergy events and trade magazine company, and a committee for the International Biomass Conference and Expo. This award is in recognition that significant quantities of money and energy must be invested into a bioenergy project before construction can begin. Companies and organizations that reach the groundbreaking stage represent the minority of potential bioenergy projects. The dedication and perseverance needed to navigate design, funding, permitting, purchase agreements and community acceptance indicates extreme aptitude worthy of acknowledgment. The Groundbreaker of the Year Award recognizes the company or organization that has significantly advanced the bioenergy industry by breaking ground and making meaningful headway on a commercial scale biomass-to-energy project. Winners of the 2015-16 Green Schools Quest! Kudos to all 45 participating school and mentor teams! Read on to learn about the amazing projects that took place at each school this year! Chesterfield Day school students, determined to help pollinators in their fight against habitat loss, decided to give native pollinator plants to the community. In need of a warm environment to grow plants over the winter, they set out to build a greenhouse out of used 2 liter plastic bottles. Students researched and selected native plants, organized a bottle drive, and designed and constructed the greenhouse. Thanks to the students’ efforts, over 2,000 native plants will be distributed to the community! Christ Prince of Peace 4th graders set out to create a green school from the inside out, focusing on waste reduction and energy use. After documenting current recycling practices and measuring the amount of waste created by each classroom, they worked on increasing recycling rates. Taking their message throughout the school, they educating their fellow students about recycling in class and in the cafeteria. Their enthusiasm even inspired the Knights of Columbus, who hold fish fries at the school, to increase waste diversion! Students didn’t stop there, exploring the energy used by their school and sustaining a vermicomposting system with their lunchtime food waste. After learning about the 3 Ps of sustainability – people, planet, and profit – City Garden 4th and 5th graders engaged in an interactive sustainability scavenger hunt highlighting existing community assets, encouraging support of local businesses, green spaces and policies while providing information and examples about how these treasures benefit society, economics and the environment. Included in the scavenger hunt is the vermicompost bin the students created in their classroom! Sustainability pre- and post-tests, documentation and reflections recorded in journals made from scrap paper, and cross curricular and historical connections were incorporated into the project. By integrating technology into this otherwise low-tech project, they aimed to create a platform that could easily be updated and used in the future. Single stream recycling was taken away from the Alton School District, but that didn’t stop these 5th graders! After studying waste and recycling, conducting waste audits of their homes and school, and visiting a landfill and recycling facility, they created an awareness campaign about recycling, educating students, teachers, and administrators throughout their district. They’re scheduled to present their findings to the Alton School Board and asking for a district-wide recycling or sustainability policy as well as the promise to consider reinstating single-stream recycling in the district in the future. These students became champions for the monarch butterfly. Eager to share all that they learned about these important pollinators, they created posters, puppet shows, and art on monarch butterflies. They designed pollinator gardens, cultivated milkweed plants, and have big plans for their butterfly garden! With a goal of reducing the waste created by their cafeteria, Hancock Elementary’s fifth grade Green Team quickly noticed that the school used many plastic sporks each day. After collecting all the plastic sporks used in one week, students calculated that their building throws away over 2,000 pounds of plastic sporks in the school year! Students took their findings to the school district and requested real utensils. Thanks to their careful research and hard work, their request was granted! The Green Team is hard at work to share the benefits of their new real forks and spoons with the rest of the school, as well as tips and facts about going green. Students in both of Mann’s kindergarten classes began this year’s Quest by creating a vermicomposting bin and engaging in trash bag relays and decomposer activities to build excitement and knowledge for reducing, reusing, and recycling. The team then composted leftover fruit scraps, allowing the worms to break down the waste and create nutrient rich soil. Their project was integrated into kindergarten curriculum in several ways. Math, literacy, science, and social studies were infused through counting, writing, reading, discussions, and research. Students journaled about their findings, conducted internet research, had open discussions, presented findings on composting and recycling via bulletin board displays and at PTO meetings, and engaged in scientific discovery through hands-on activities. Kennard’s Green Team committed to support the school’s Outdoor Learning Garden committee in the creation of an outdoor learning space for science, math and art; as well as a place to be together as a group to read and eat lunch. Team members participated in meetings to determine mission, resources, goals and design of the Outdoor Learning Garden, and attended an orientation at Gateway Greening. Students and adults participated in an outdoor clean-up and beautification event at Kennard as part of Green Apple Day of Service. The team also continued their work on waste reduction and recycling, including continued advocacy for a milk carton recycling program. The fourth graders of Mallinckrodt implemented school-wide cafeteria composting one day per week after learning how food waste could be diverted into compost and made into compost tea as a part of their Sustainability Project Based Learning (PBL). At the conclusion of their project, students had diverted school-wide lunch food scraps for 25 days which resulted in 92 buckets totaling 1,125 lbs. going to their three-bin compost system. Their goal is to not only continue composting but to increase it to 2-3 days per week by next year. Students will continue to learn about decomposition through a composting PBL developed during this competition. Five fourth grade classes at Mascoutah Elementary divided and conquered three areas of student interest. The Water Quality Group tested water samples from the bathrooms, kitchen, and water fountains at their school, researched health impacts of water quality, and presented their findings to the other fourth graders. Students in the Water Treatment Group studied the water treatment process, then worked with their teacher to write a play. Students created costumes and props, then explained the water treatment process through performances as characters such as “Clara Chlorine” and “Phil Filtration.” The play was recorded and shared with their school, parents, and community. The Recycling Group wrote short scripts, letters and a newspaper article to spread the word on accurate recycling. The theme at Ross Elementary this school year is “Raise the Bar.” The Green Schools Quest team decided to help “raise the bar” by making it Green. Students focused on creating a communication campaign to reinforce the sustainable practices that were already in place. Their efforts culminated in the creation of a website, www.rossgreenteam.wordpress.com, and through presenting their ideas via skits and short plays. They engaged parent volunteers, a Girl Scout service team, and members from Cub Scout Pack 639 in their efforts. Tillman’s Sustainability Committee asked students to help solve two sustainability-related issues. The commercial composting service the school has been using for food waste began ticketing them for plastic contamination in their compost. To address this issue, students embarked on an educational campaign addressing what, why, and how to compost. Activities included creating classroom-scale compost bins to observe decomposition, discussions with the head custodian, and recording a performance of the “FBI Song” (Fungus, Bacteria, Invertebrates) which was shared on morning announcements. They also implemented an anti-idling campaign. Baseline data indicated annual idling time at the school was equivalent to a car taking 6 trips around the earth! Through education and outreach (including incentives for positive behavior), the campaign saw a 40.9% drop in idling! Mentor: Rachel McShane, Professional Environmental Engineers, Inc.
Keysor Elementary set out to better utilize existing outdoor garden spaces and three hydroponic tower gardens to grow healthy, organic food and to find a way to share that bounty with the entire school and community. In addition, the school established new satellite garden sites through a partnership with a nearby church. Through use of all of these sites, Keysor was approved for participation in a Garden to Plate Initiative offered by their food service provider. Staff, families and community members created cold frames to enable winter produce production and engaged in sustainable gardening and eating educational opportunities. In addition, the school took steps towards their goal of obtaining National Wildlife Federation (NWF) habitat certification for green spaces on their grounds. With a school population that consists of 87% poverty level, many families could benefit from receiving support in the form of goods and services. The team at Webster decided to arrange a “No Sale Yard Sale” where community members could come and shop from a donated collection of gently used shoes, clothing, and toys free of charge. The event was held a month before Christmas, and opened with their 1st Annual Free Pancake and Sausage Breakfast for all school families. Additionally, the school participated in the Trex Recycling Program which resulted in the collection of nearly 64 pounds of recyclable plastic, and The Shoeman Water Project which collects new or used shoes and directs them to a secondary market for reuse; revenue generated is then used to fund water projects in developing countries to provide clean water for their communities. With the increased amount of technology in their school district, energy costs have risen and school leaders have been asked to help reduce costs at the building level. Westchester’s Green Team, spearheaded by fourteen fifth graders, aimed to help by seeking ways to reduce energy use in their school therefore reducing operational costs. To begin, students researched the energy audit process, designed an audit checklist specific to their school, and conducted an energy audit of their school building. The team created an informational video, educating students about energy audits and their school’s audit results. They created room specific feedback posters highlighting successes and tips for improvement which now hang in each room in the building. In addition, they educated families about ways to save energy at home, and continued to support existing sustainability initiatives at the school including no idling, composting and recycling. The BMS team’s project was threefold. They started a worm compost and began composting in the cafeteria. Data collected over six weeks indicates they diverted an average of 40.7% of waste from the landfill. Using a Kill-a-Watt meter, students measured energy use of computers left on overnight, calculated savings that would result from turning off computers in the lab at night, and educated teachers on their findings. If all computer labs are turned off at night, they will reduce CO2 emissions by 12.93 Metric tons/year. Lastly, they have planned and are building a shade garden with native plants. Efforts were supported via educational posters and presentations to homeroom classes on these efforts and lessening one’s carbon footprint. Students asked, “Why don’t we recycle like we did in elementary school?” The team was determined to expand the school’s recycling efforts which had been focused solely on paper. No waste can hide from these kids who collected batteries, old cell phones, crayon, markers etc. and sent them off to be recycled or repurposed. The team created a Classroom Trash Can Audit Report Card to be hung outside each classroom door to build students awareness of recycling efforts at school, and foster friendly competition. The project goals have been incorporated into the curriculum using Next Generation Science Standards. The team has devised a plan after the current school year and to carry on for next year. Crossroads has a LEED Platinum building, but few students and staff know about all of its green features. 32 seventh graders researched and became experts on the sustainability aspects of their school then educated their peers and community via tours of the building. Focus areas included: Brownfield Redevelopment, Rain Garden and Native Landscaping, Reducing Heat Island Effect, Energy Efficient Lighting, Solar Panels, Water Efficiency, Acoustic and Thermal Comfort, Volatile Organic Compounds, and Indoor Air Quality. To perpetuate this project, the seventh graders will be giving tours to the Board of Trustees and will be responsible for educating the new class of seventh graders about the green features of Crossroads then turning over the reins for conducting tours. Forsyth School has maintained raised garden beds over the years in the Lower School space on campus and set their sights on expanding an outdoor classroom into the Upper School space. Throughout the school year, students, faculty, and staff learned about gardening through classroom activities, presentations, field trips, workshops, and leadership from the facilities department. This year’s education about gardening is part of the development of the ongoing Sustainability Curriculum documented in their school-wide curriculum-mapping program. The sixth graders will maintain the garden beds during the school year. Mentor: JoAnn Brookes & Becky McMahon, DJM Ecological Services, Inc. In the past, Hoech created an outdoor classroom, complete with vegetable and native plant gardens, a green house, a small flock of chickens, and educational signage. However, the courtyard had been neglected in recent years. The Green Club was determined to reinvigorate this space! They began by creating a mission and goals for their team. They then presented their goals to the Ritenour School Board and pitched their plan to regain urban chickens. A new chicken coop was designed. Students took measurements of the courtyard and drew blueprints of the garden. Green Club members learned about native plants and how they should be maintained, as well as how to utilize the green house. The Green Machines at Holy Redeemer began the year with gusto and determination to plant a winter garden! The first step was to scope out the best location on their campus. The team then engaged an Eagle Scout to design and develop the site and build four raised beds. An arched PVC framework tented with a clear plastic tarp was placed over one raised bed. Once completed, the beds were planted with organic spring greens destined for a Salad Bar Lunch at the school. Throughout the project, students discussed the meaning of “organic” and importance of making healthy food choices. Last year, Little Flower students completed an Energy Star benchmarking study and found their building was horribly inefficient, garnering a score of 10 (out of 100). They were determined to increase energy efficiency at their school this year! After learning about the benefits of LED lights, students focused their efforts on converting existing T12 light fixtures to LED-compatible fixtures. They calculated the energy and cost savings which could be realized in converting their light fixtures to LED equating to a savings of 15,660 kWh and more than $1,600.00 annually. To show how easy it would be to make this conversion, students created an instructional video in which two students removed a fluorescent ballast and rewired an existing light fixture to accept LED lights. The students will be presenting this presentation and their findings to the Parish Finance Committee this Spring and recommending action during the 2016 summer break. A rain garden had been planted at MRH-MS several years ago, but was not being used for classes. The team was determined to increase its use as an instructional resource by improving the physical space to facilitate class use, increasing awareness, and providing teachers with instructional assistance. Students developed drawings and a model of an accessible walkway they would like to build through the garden; these were presented to and approved by central office staff. Students organized and led four early childhood classes about the water cycle, seed dispersal, pollinators, and pollution in a hands-on investigation of the raingarden. Several students made a music video with a rap, “Rain Rain Garden” to educate the school community about the importance of rain gardens and their tie to community and ecosystem health. The girls of the MMS STEM club noticed that there was little to no recycling was being done at their school, and that recyclables were not being sorted properly. Their primary focus for the Quest was to increase recycling awareness and participation. The group took a field trip to a large recycling station, and created a video to encourage recycling for display at an all-school assembly that the school’s maintenance team will be invited to. Additionally, they are preparing two projects for MMS’s Maker Faire in early April: a simple bird feeder designed using recycled materials and a Mason Bee House constructed of donated wood. The science and social studies classes of Nahed Chapman challenged themselves with three projects. Students promoted recycling by designing and delivering recycle bins to every classroom and school office, then providing volunteers to retrieve the bins weekly. They began a ‘No Idling’ campaign to remind parents and bus drivers to turn off their vehicle engines while waiting, and have plans to lobby their representatives to pass legislation to limit idling to when the temperature is at or below 32 degrees. Additionally, the team designed and built a six bed International Garden with plants as diverse as their student body which is comprised of students from nearly two dozen countries. The ecology class focused on six areas: Litter Removal – Removed nearly four hundred pounds of trash and recycling from Sugar Creek Valley Road and Sugar Creek; Tower Gardening – Students learned about the advantages of vertical gardening and built a tower garden to grow vegetables near the school’s front entrance; Rain Garden Improvements – Students addressed maintenance needs on a rain garden they planted last year to control run-off from the new science wing; Continuation of the No-Idling Campaign – Educated parents and incentivized them to stop idling their cars. Surveys indicate idling is down 15% from last year when they conducted a similar campaign; Cafeteria Waste Reduction; Plastic Grocery Bag Use Reduction through parent education. The team was comprised of five 6th grade students in the gifted program. They began by establishing short and long term goals, and discussing plans to ensure their programs would keep going and growing for years to come. After preparing and delivering a presentation to the school’s administration, the team started a pilot compost collection program during 6th grade lunch which quickly caught the eye of other grades. They built a composting drum followed by a larger composting bin. To perpetuate the project, the 6th graders actively recruit and mentor 4th and 5th graders to take over. Their lights-off campaign began by analyzing electric bills from the last 5 years and identifying was to decrease energy use. A program based on positive recognition of positive behavior was used to get teachers to flip the switch. The robotics team at Rogers Middle School aligned their project with the Trash Trek Lego Robotics competition in which they had to design a robot to complete 12 environmental and sustainability oriented challenges. As the year progressed, they drew attention beyond their technological innovation as they took on waste reduction in their cafeteria. After a field trip to St. Louis Composting, the students created their vision of a composting project for their school cafeteria, and then began diverting unnecessary food waste from landfills to their community garden to be used as fertilizers. Students showed their project to the members of the Affton School District Board of Education and their work was featured in the quarterly Affton School District newsletter. When it rains, the playground at Saul Mirowitz retains water and looks like a huge lake. Classes spend significant amounts of time in outdoor learning areas and are greatly impacted when the playground is flooded. The 6th grade students wanted to investigate solutions for this problem. After working in small groups to research options, the team determined creating a french drain to channel the excessive water on the playground towards their rain garden would be their best route. Though they have more work to do before reaching their goal, students have identified necessary materials and next steps for moving the project forward. The College School’s team focused on habitat creation and restoration on a ¾ acre site at their school’s La Barque Campus. Their goal was to remove invasive plant species, and then create a grassland with several small pools that would function to slow the movement of water into their creek and create micro-habitats. Students studied the area via Google maps, mapped out where five micro-wetland habitats would be constructed, dug the areas, and sowed seed they had gathered from surrounding plant life. The team also engaged the larger community in removing an extensive amount of bush honeysuckle on the property. To complement their work, students studied prairie and wetland ecosystems using the Nature Unleashed curriculum from the Missouri Department of Conservation. Last year, students in the environmental club at Edwardsville High School founded a non-profit organization with the goal of connecting students and youth across the state of Illinois to share ideas and organize action plans for environmental issues: Green LYFE (Leading Youth for the Environment.) This school year, the team established a youth council of students from multiple high schools in their area. They formed partnerships with local environmental organizations such as the Sierra Club and substantially supported their education and advocacy initiatives such as the Illinois Clean Jobs Bill through public outreach, presenting at community events, and regularly engaging political figures. All for Plants, and Plants for All! Students monitored the carbon dioxide levels in their classroom and found levels begin around 500 ppm then rise to 2000 ppm each day (levels between 1000 and 2500 ppm can result in general drowsiness.) Students researched which indoor plants were best for removing CO2 and placed these plants in their classroom. To expand, they are launching a competition in which classrooms create upcycled planters and teachers implement lesson plans to support their goal of reducing CO2 levels to below 1000 ppm. The team also worked to advance their energy efficiency efforts. The school received an energy audit, then applied for and received Energy Star Certification as part of their Green Schools Quest project last year. This year, they began implementing recommendations from the energy audit and updated their Energy Star Portfolio Manager account. Lastly, the team took initial steps towards developing plans for an outdoor classroom for their school which is land locked and currently does not have a single blade of grass! The benches around the school’s athletic field provide a resting place for teams waiting their turn during Fall and Spring Challenger Baseball games, most especially for students with physical disabilities – but several of these benches were rotting away and some had been built too low for high school aged bodies. The green team, comprised of students in the Grounds Maintenance and Horticulture classes, aimed to replace one or more benches. After finding a company that takes plastic caps and recycles them into benches, students began a campaign to collect plastic caps. Additionally, they designed and created two mosaic bench tops which will be built upon bases made from recycled plastic lumber. The team also made planting pots out of toilet paper tubes and grew plants to share with their community. The Earth Angels green team focused on improving recycling at their school. They began by surveying trash and recycling patterns, through which they made an important discovery: janitorial staff was collecting recyclables in black, plastic bags. Many waste haulers treat contents in black bags as trash so it’s likely that all of their recycling had been going straight to the landfill! The students are preparing a presentation to school administration to use transparent bags for recycling. The team visited a land fill and recycling center to gain insight and feedback for their efforts. The “Sustainabills” found that waste was not being properly sorted at their school, then set out educate the student body on the what, how, and why of separating recyclables, compost, and trash. They designed signage to assist with decision making; held meetings with the school’s administration to incorporate waste reduction into SLUH’s curriculum as early as the class of 2020; promoted efforts via the school’s student newspaper; created an informational video detailing what item goes into which bin which was shown at lunch for every class, ensuring the entire student body of 1,100 watched the video; and engaged Student Council Representatives in working with the Sustainabills to present on the topic in each homeroom. Thanks to our Annual Green Schools Sponsors! Tim Myatt, Brinkmann Safety Director, and Leonard Toenjes, CAE, AGC of Missouri President. E.C.L Wagner Safety Award recognizes exemplary safety record for the past five years. Brinkmann Constructors received the inaugural Building Division E.C.L. Wagner Safety Award from The Associated General Contractors of Missouri (AGCMO). This award is presented for maintaining an exemplary safety record for the past five years. 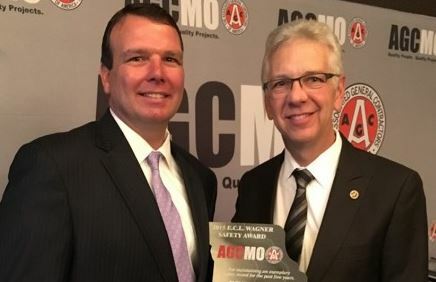 The AGC of Missouri Safety Committee selected Brinkmann Constructors based on a comparison of Brinkmann Constructors’ total hours worked in Missouri, total injuries and total lost day cases over the past five years. The award was presented on April 6, 2016 at the Awards Breakfast held in conjunction with the AGC of Missouri Annual Convention at the InterContinental Hotel in Kansas City. Brinkmann Constructors is a national general contractor that has completed approximately $3 billion in construction since 1984. 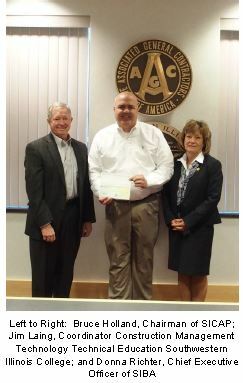 The Southern Illinois Construction Advancement Program and Southern Illinois Builders Association recently donated $25,000 to the Construction Management Technology Program at Southwestern Illinois College. This donation will strengthen and advance educational offerings related to construction technology and integrate current scanning technology into SWIC’s Computer Applications and B.I.M. curriculum. Items that will be purchased with this donation include: hand held and static scanners including software and training for both pieces. This technology is an essential communication tool for the construction industry as it evolves toward collaboration based project delivery methods.